In today’s competitive age, technology jobs are profitable, as businesses are willing to pay a premium to those having technical skills. 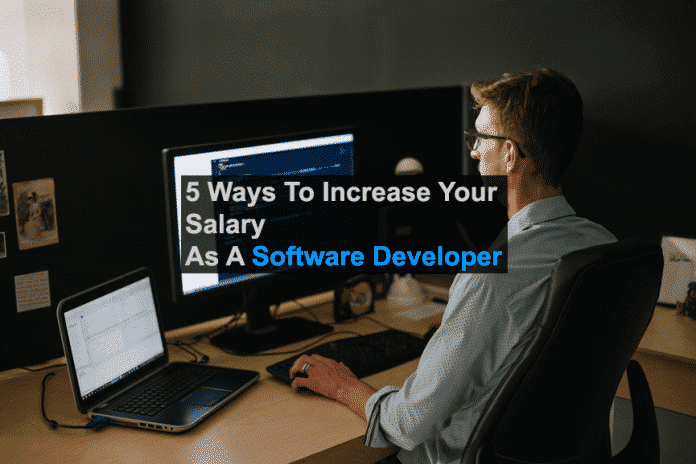 Programming or software developing is one of the most lucrative fields in today’s time, and all software developers want to earn more salary based on the work they do. However, Raviteja Chirala, a data scientist, and an avid programmer shared a different view on this topic on Quora. According to him, those people who earn higher salaries look to better themselves, and money follows them. Build credibility: One of the most important things that you should do is to build credibility, as this will help people believe in you and trust you. You can do this by contributing to open-source projects, freelancing, hackathons etc. Earn attention: Your work should speak for you. Try to make yourself known in the small software world with your work. Many companies look for engineers and architects those who have contributed to the field of software. They are the most sought after by companies and if you get selected, you are there to stay. Keep yourself updated: It is very important to keep yourself updated in the ever-changing field of technology, as any proven technology that you work with may be out of date in a few years. You have to be on top of new technologies that come into the market. As it grows older, there will be more people involved in it. So, the bracket is really large at this point. Present yourself: If you are doing some cool stuff at your work, don’t let it cool down. Go out for meetups and showcase your work, as this will help in growing your boundaries. Switch companies/teams: Your work becomes stagnant at some point after a couple of years. Switching to new teams and doing different things for companies working on different technologies will reward you better. Do let us know your opinion on the above methods or do you have something more to add, please let us know in the comments section below. For earning more money first we have to get a job. But these days freshers are doing so much struggle for having a job. In the companies openings are only for Experienced not for fresher, so you should think about him. “write a post for newly graduated students for landing a good job” you know that everyone starts from the bottom, right? If you need and want to learn you can do it for free, find some relatives that needs some work related to programming, do it for them and voila you have a resume. Do you need anything more to know on how juniors find themselves some good jobs?